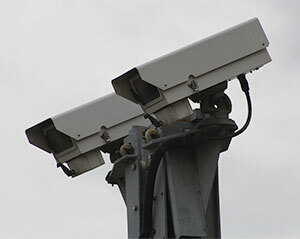 The DVR can send video data from one location to another over the Internet to remote computers or to mobile phones for true 24/7 remote monitoring, making it one of the best CCTV transmission devices on the market. Live images can be viewed remotely over the Internet via a web browser or by its own client software, as well as the built in mobile phone software. To run the client software we recommend a minimum computer hardware of Pentium 4, 2.0 GHz CPU; 512 Ram; Windows 2000; IE 5.0; 1024 x 768, 16 bit screen resolution; 75Mb of disc space minimum; And a graphics card with ATI or NVIDIA chip sets supporting DirectX video overlay. With real time recording on every channel, 4 audio inputs, DVD backup, 2-way talkback and the very latest compression technology H264, the DVR is far from an “ordinary” DVR. Supplied with free mouse and a remote control the DVR is easy to set up and control. It offers local and remote control of PTZ cameras. Easy back up to local (USB or DVD/CD) or to remote (over a network) storage. With a compatible mobile phone you can view live images and control PTZs (pan and tilt only). All Android, IPhone, certain Blackberrys and certain Symbions. You can connect to the DVR using a mobile phone, see live image and even control PTZ. The DVR is supplied with a free mouse and a Remote Control handset for fast installation and operation. The DVR records real-time video & audio from each of its camera channels so you don't need to miss a thing. This superb DVR is supplied with a free copy of the multi-site central monitoring station software. Using the client software supplied, this DVR can be networked so that any users in the business can monitor the CCTV images. The DVR is big on features offering local and remote operation of most PTZ cameras on the market.